The Cornerstone Society of The Westport Library was instituted in 2014 to recognize those generous, committed individuals who have made extraordinary gifts to the Transformation Project of $250,000 or more. Their foresight and leadership enable the Library to continue to flourish and set a standard of excellence in this community and beyond. Kathryn Brooks, who passed away in November 2016, had been a Westport resident since 1960. She was a true autodidact, fueled by an insatiable love of books and innate curiosity. Throughout her life she exhibited a quick and powerful intellect and a remarkable ability for recalling details from history and literature. Kay was thoughtful and kind as well as a quick study in character and business. She worked alongside her husband, B.V. (Dexter) Brooks, publisher of the Westport News, for many years. 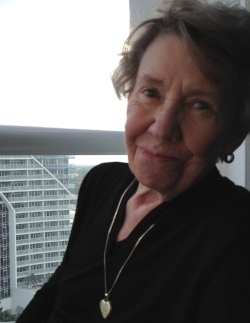 She was an enthusiastic and generous supporter of the Westport Library since 2004 and other literary, charitable, and artistic organizations. In 2014, Kay became one of the first major gift donors to the Transformation Project. 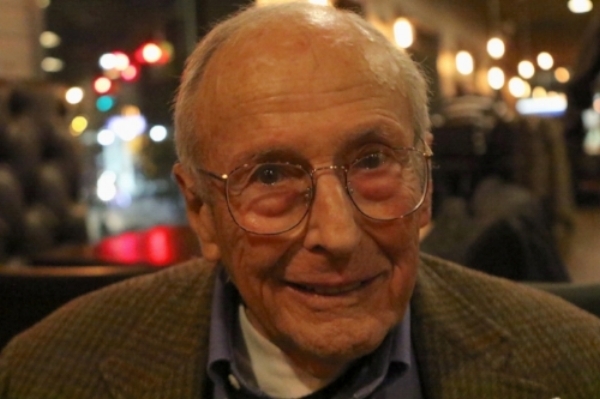 Howard Aibel, who passed away in March 2018, and his late wife Katherine were married for ten years and expecting their third son when they moved from NYC to Westport in 1962. Howard, an attorney specializing in Dispute Resolution, spent thirty years traveling to Brussels, Buenos Aires and Hong Kong for business. He would fly home on Saturday morning, umpire his sons’ little league games, have a family dinner and then pack on Sunday morning and head back to foreign destinations. After her youngest was in school, Kathy pursued a career in social work, working in schools and with children in the court system. She was a voracious reader with a keen interest in literature. Philanthropy has been an important part Howard and Kathy’s lives. In addition to his generosity to the Library, he served as Vice Chair of the Westport Playhouse, Chairman Emeritus of A.R.T./New York, a supporter of the Westport Art Center, Music for Youth, American Arbitration Association and a Trustee Sacred Heart University. A 1951 graduate of Harvard Law School, Howard established the Howard J. and Katherine W. Aibel Professorship of Law Chair. Even after their move to Weston and their retirement home, the Aibels remained committed to the Westport Library. There was no doubt in Howard's mind that he would support the Library's Transformation Project. He feels that it is a wonderful organization for the extended community of Westport/Weston. The Offenbergs have been Library supporters since 2004. They are excited about the new Library renovation. They love the idea of two libraries in one: a vibrant upper level learning and meeting center and the lower Riverwalk level for those who want a more traditional quiet atmosphere. Alan has become a strong champion for the Transformation Project and serves on the Campaign Cabinet. Nancy Beard has been a resident of Westport since 1969 when her husband, Gene, took a position in New York. It was their son, Gregory, who introduced his mother to an Apple computer, and she’s never looked back. Nancy’s no geek, but she keeps up with technology. Her eyes light up when she talks about her iPad, loaded with a Kindle application. She loves that wherever she is in the world, she can get the news from Westport and stay connected to Connecticut. Nancy and the Nancy Jones Beard Foundation have been donating to the Library since 2007. Nancy’s excitement about what technology can do inspired her to support the 2010 “E-project” at the Library, adding Kindles for loan, MacBook laptops for in-Library use and downloadable music for laptops and MP3 players directly from the Library’s website. When the Library opened the MakerSpace in 2012, the Foundation was one of the first contributors to the project. One of the robots that was purchased, thanks to the Foundation, is named Nancy. Although Nancy and her foundation have permanently moved to Florida, she remains a Library supporter. Nancy and the Nancy Jones Beard Foundation have been donating to the Library since 2007. The Nancy Jones Beard Foundation is a major supporter of the Transformation Project. Phyllis and David H. Komansky have been generous supporters of the Westport Library since 1996. They have two daughters, Jennifer and Elyssa. David Komansky is Chairman Emeritus of Merrill Lynch & Co., Inc. He previously served as Chairman from April 1997 until April 2003 and as Chief Executive Officer from December 1996 until December 2002. Prior to being named Chief Executive Officer and Chairman of the Board, Mr. Komansky served as President and Chief Operating Officer from January 1995. After spending 35 years with the firm, Komansky retired as Chairman of Merrill Lynch. Upon his announcement of retirement, John Gutfreund, who ran investment bank Salomon Brothers in the 1980s, said, "David Komansky has been one of the major contributors to the financial community's progress throughout the world during his tenure at Merrill Lynch." Komansky is active in many civic and charitable activities, serving on the board of trustees of New York-Presbyterian Hospital and Norwalk Hospital. The family’s philanthropy is well-known. In July 2005, the Phyllis and David Komansky Center for Children's Health was established at New York-Presbyterian Hospital / Weill Cornell Medicine to make medical care more accessible, advanced and supportive of the needs of young patients and their families. Their philanthropy created the Phyllis and David Komansky Cardiac and Vascular Center at Norwalk Hospital. He attended the University of Miami and completed the Advanced Management Program at Harvard Business School in 1990. Dave serves on the Library’s Advisory Council. The Library is gratified that it is the recipient of their generosity and their kindness. Roz and Bud Siegel have lived in Westport for 41 years. Their children Abby and Matt, graduates of Staples High School, were only four and six when they arrived. Roz grew up in Massachusetts. Even as a child, she was a voracious reader. “The library was a destination for my whole family. I remember being part of the Summer Reading Program.” And she continued the family library tradition with her own children. Business took Bud all over the world. When he talks about Westport, he says that he could not envision a better place to live. So, a few years ago, when Bud retired, the Siegels looked at all their options and decided to remain in Westport full time. Roz enjoys reading, tennis and theater, and Bud has become a LEGO aficionado. The Siegels became investors in the Transformation Project in 2013. Roz comments, “We are very excited about the renovation concept. This plan meets all the objectives of the previous plan…a flexible and efficient space with dedicated spaces for quiet and for activity. We look forward to Groundbreaking.” Bud may even bring his own hard hat! Jerry A. Tishman began supporting the Westport Library annual fund in 1994 and began underwriting WestportREADS, one of his favorite Library programs in 2003. He loved the Library’s concept of a community read with companion book and a month’s worth of programs covering a range of topics. Jerry graduated from Columbia Grammar Preparatory School in New York City in 1941 and then entered the University of North Carolina, Chapel Hill, in the class of 1945. At the beginning of World War II, he enlisted in the U.S. Navy. He served on the U.S.S. Wyman (DE 38) in the Pacific Theatre, earning battle stars for invasions at Eniwetok, Saipan, Iwo Jima, and Okinawa. Following the war, he traveled through South America, and then spent several years living in France, Italy, and England. In 1954, he returned to New York and began one of Merrill Lynch Fenner & Smith’s first executive training programs. He worked at the firm’s main office until 1969, when he purchased a seat to become an individual member of the New York Stock Exchange, where he remained for over 36 years. His work in finance spanned 51 years. Upon his death in 2015, at 90 years of age, Jerry left a sizable bequest to the Library to continue to fund WestportREADS and support the Transformation Project. Christian J. Trefz, a Library donor since 2002, gave to each of the prior capital campaigns. His $1,000,000 leadership gift to the Library’s Transformation Project is an example of his extreme generosity and charitable heart, based on his good fortune and business acumen. Chris said that he donated to this project because he wanted to give back to the Westport community, where he has lived for over three decades. The Trefz brothers’ story began in 1957, when Chris, worked alongside his brother Ernie at Rosselers Meat Packing Company in Bridgeport, CT. With McDonald’s being their largest customer at that time, Chris and Ernie were inspired to pursue a career as McDonald’s franchisees. On September 27, 1964, their first McDonald’s in Waterbury, CT opened for business. Today, the Trefz family operates 43 McDonald’s restaurants. Family members also were one of the founding chairpersons of Ronald McDonald House Charities and served on their Board of Directors. Chris and his wife Eva are also leadership donors at Norwalk Hospital.